I curate and host workshops in the Southern California area to utilize art making as a medium for bringing the community together. 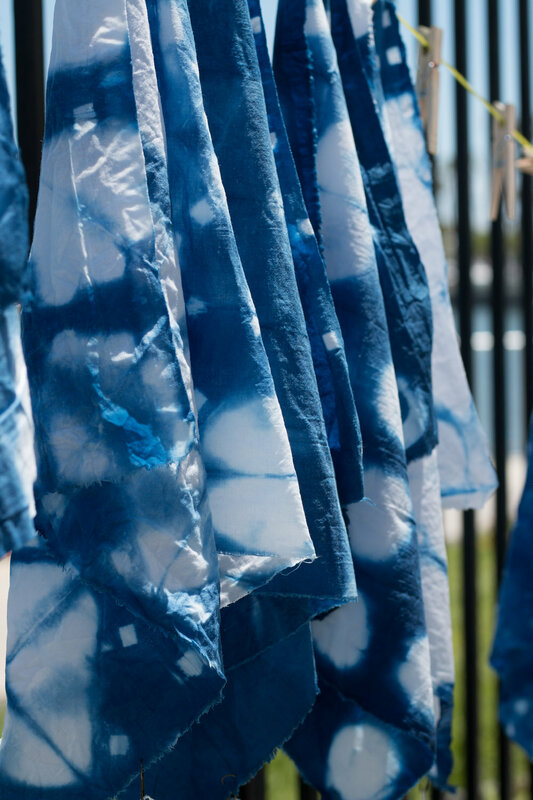 In this class, we explore techniques of Indigo Shibori. The tying, clamping, twisting, and stitching we do to our fabrics before we dye material acts as a resistance to the dye. Then, watch the amazing reaction of oxidization as your fabric turns from yellow green to the rich blue we all know and love! Color can be sourced from the most unlikely materials- whether it’s from the rosemary in your garden, the bark of a eucalyptus tree in front of your house, or the skins of the onion you just threw in the trash. These colors and pigments can be used to dye, paint, or print colors in a sustainable way. 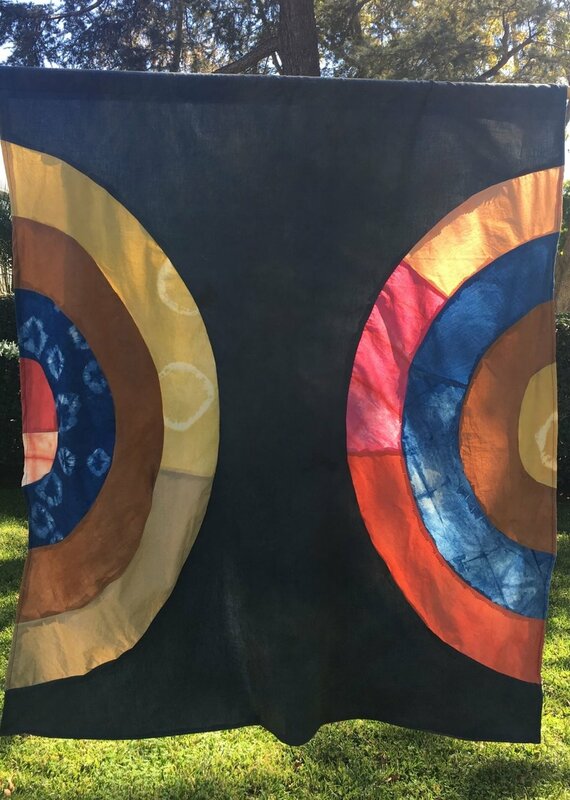 In this class, students will learn about various natural dyes and their histories. Block printing is one of the most traditional ways to create patterns on fabric. 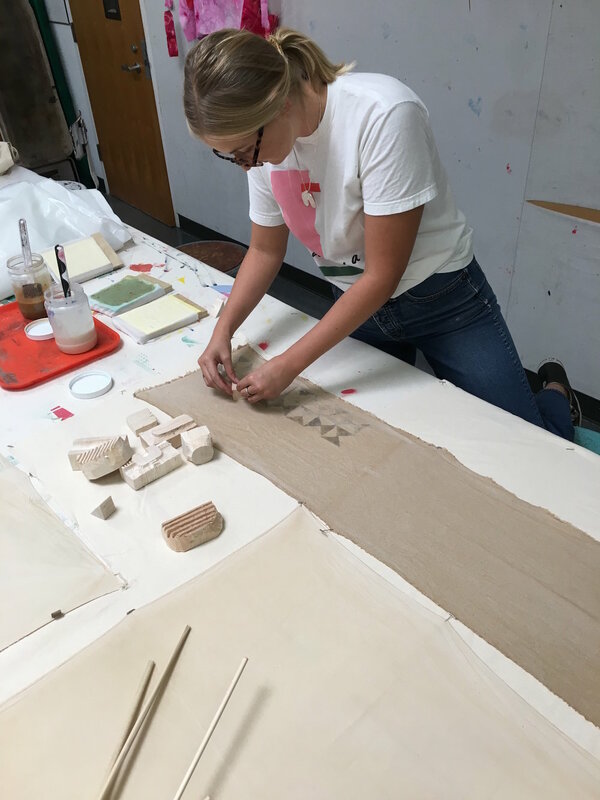 Students will create their own wood blocks and learn different repeat techniques for pattern design. We will learn how to block print with mordant modifier pastes, and dye our printed patterns in a natural dye bath.